When the situation demands, you learn to make your own fun, and so it’s been with the motorcyclists of Victoria for more than 100 years. Being in what was a rather isolated location in 1906, the city’s riders banded together with local automobile enthusiasts to form an association that would promote their own interests and events. 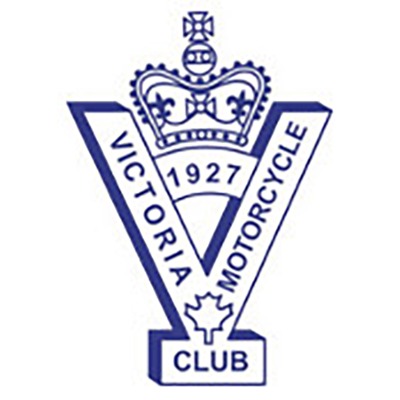 That early beginning lasted for six years until May 1912 when the Victoria Motorcycle Club was formed with a membership of 21. 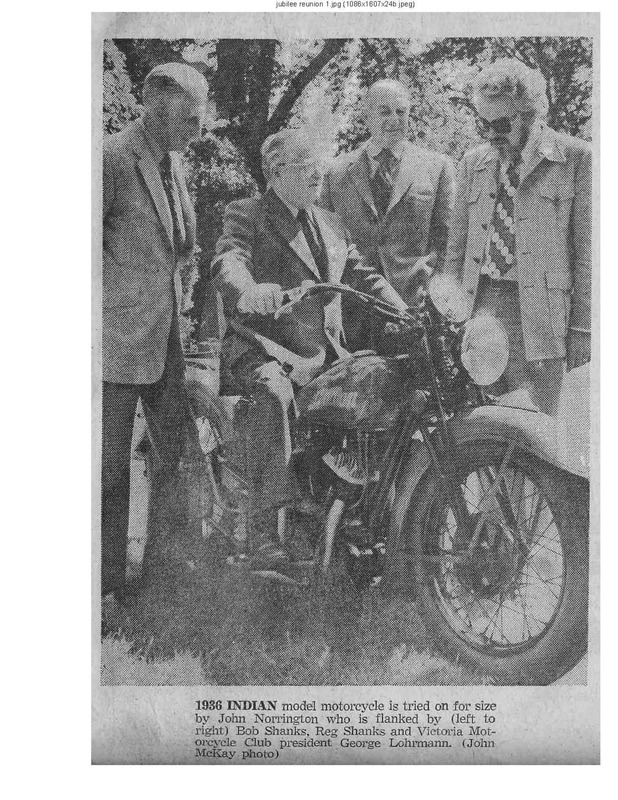 A news report of the day in Canadian Motor Cycle magazine contained a photo of 19 riders posed in front of the British Columbia legislature. It announced that there were 75 bikes already in use on city roads and that club membership was growing rapidly. 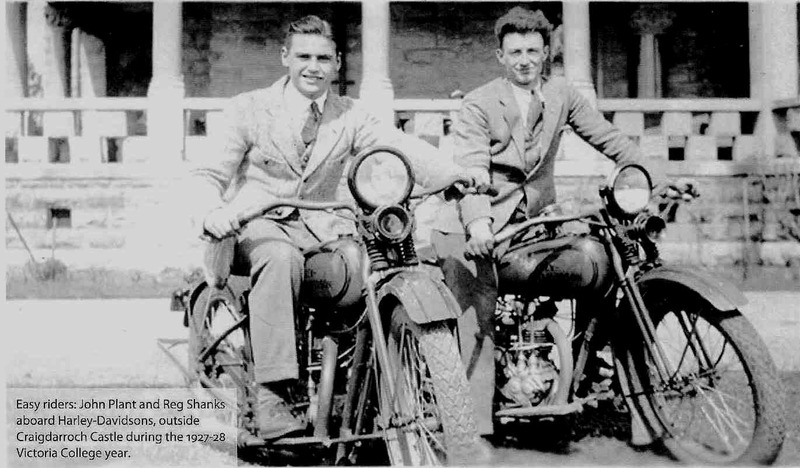 Local dealers were hopeful of selling 300 new bikes in 1913 but the war which came only a year afterward decimated the ranks of potential customers, said long-time member Reg Shanks to a newspaper reporter many years later. 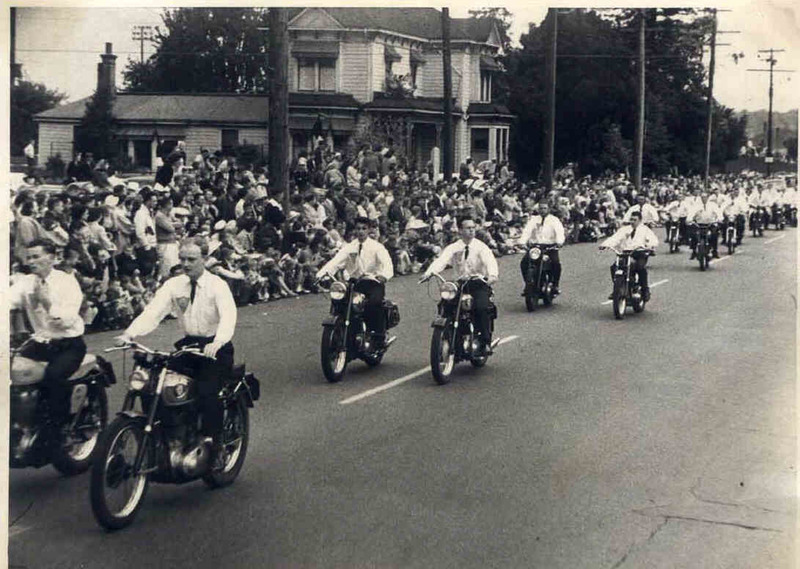 It was not until 1927 that the Victoria Motorcycle Club became registered under the B.C. Societies Act as a non-profit organization, as it continues today. 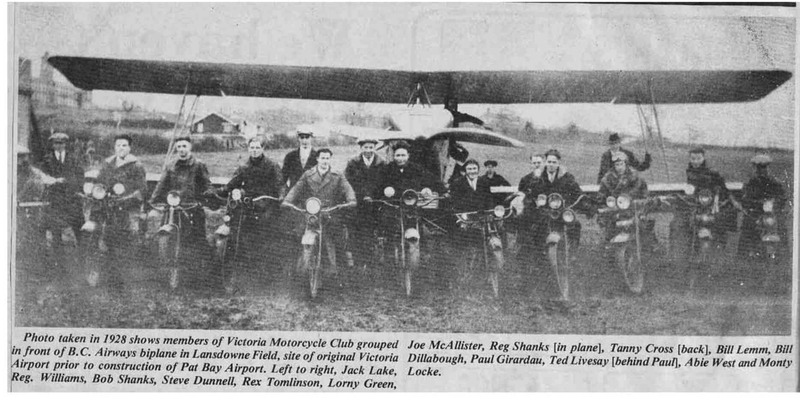 The survivors who returned to Victoria after the First World War didn’t lack for entertainment, and Shanks recalled watching his first hillclimb at Mt. Douglas in 1921. 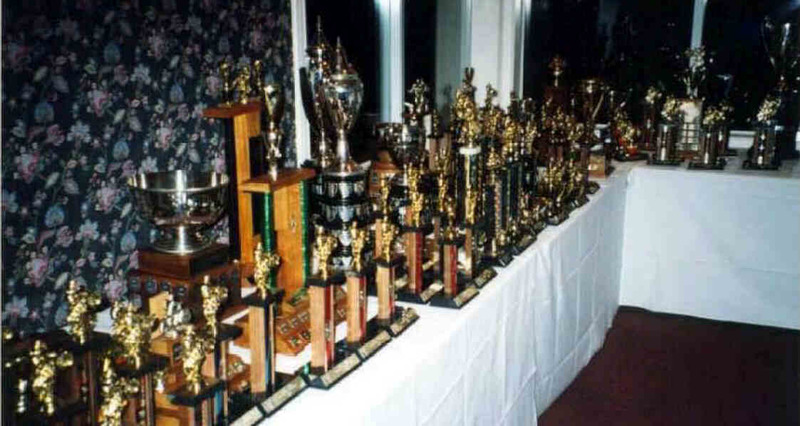 One of the club’s greatest tangible assets is its collection of more than 40 permanent trophies, the earliest of which dates from 1913 and was donated by the old Brentwood Hotel. Another is the Kirk Trophy, donated by the defunct Kirk Coal Company – when was the last time you bought coal? – but the trophy has been awarded since 1930 to the winner of an experts-only enduro. 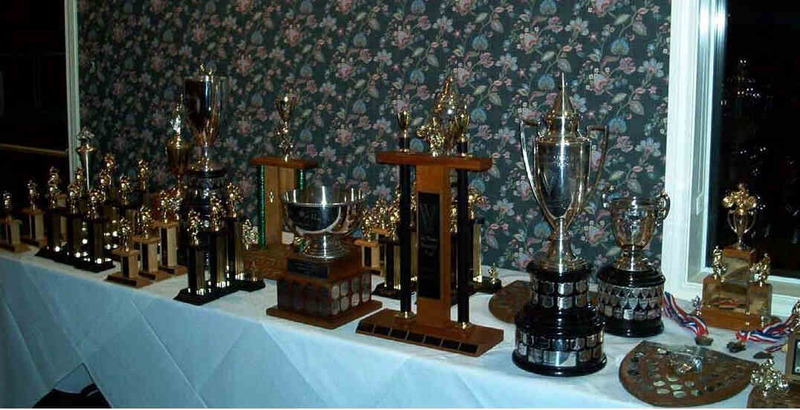 Some of the old silver trophies are now fragile with age, but club members still compete for them in a full season of events. 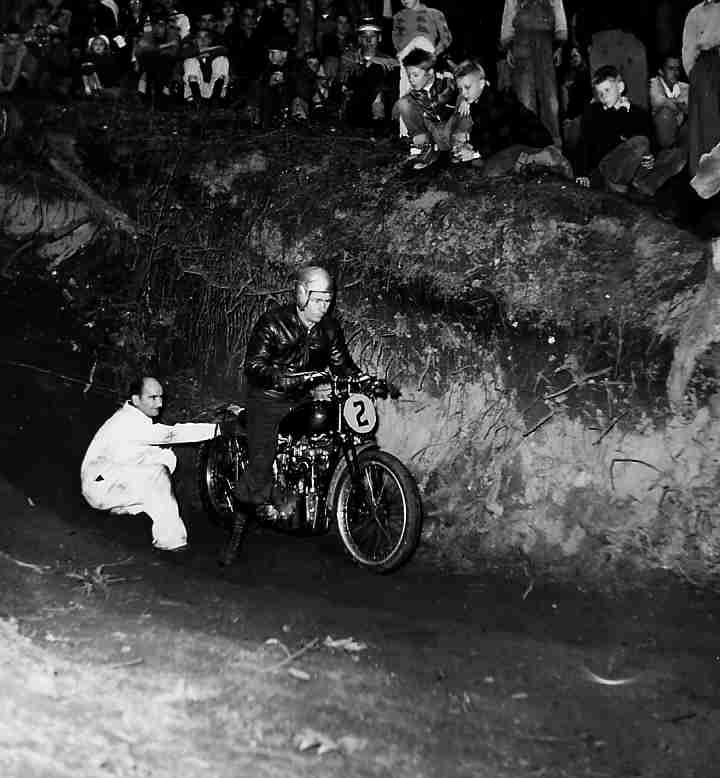 One of the most unusual is a chrome-plated army helmet that was worn in the First World War by VMC member Cecil Frampton and which he later donated for the winner of an all-night enduro that began in 1935. Nowadays lights are more reliable but the enduro has been changed to a daytime event. Another trophy is a memorial to four club members who enlisted as flying officers and died during the Second World War. Since 1967 the club has owned its own 172-acre property in the Happy Valley area close to the city and well-suited to observed trials, field meets and short cross-country events. Along with the B.C. Off-Road Motorcycle Association, the VMC also acts as steward for 5,000 acres of crown land in southern Vancouver Island. Club members help cut new trails each year to provide access for motorcycles and ATVs alike. For decades the VMC’s annual two-day Terra Nova Enduro on Thanksgiving weekend has challenged riders from the island, the B.C. mainland and western states. 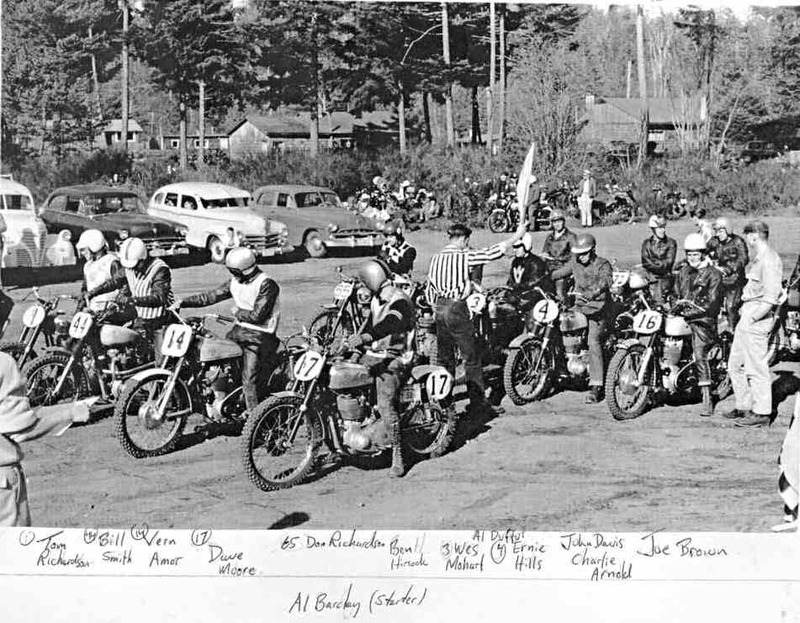 Over the years the club’s high level of professionalism and focus on off-road events has bred a large cohort of expert riders including Vern Amor, ISDE silver medallist Harold Perepalkin, Scottish Six Days Trial competitor Martin Spriggs and former three-time Canadian trials champions Mark Cahill and Steve Fracy, to name a few. The club has also maintained a tradition of public service with participation in charity events such as the Good Samaritan Fund, Timmy’s Telethon and the May Day and Victoria Day parades. On occasions it has organized field games and stunt shows to entertain the public. 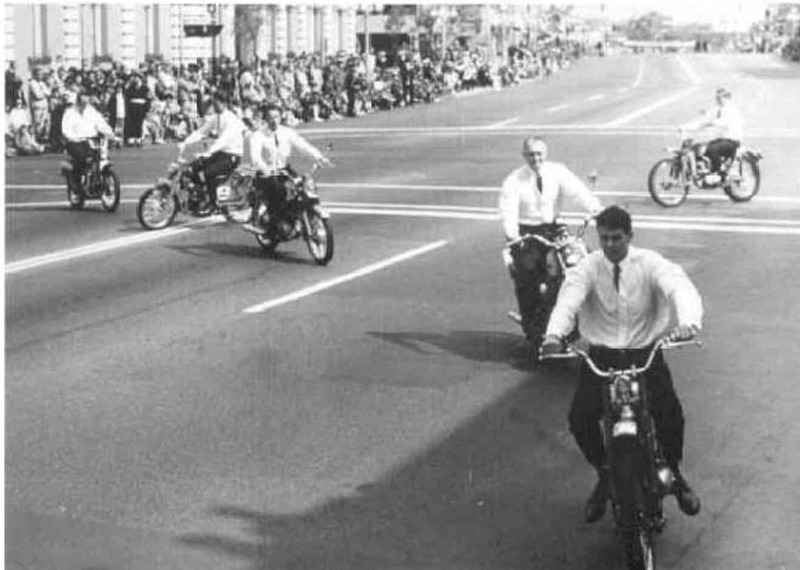 Today, with 280 members, a century-long history and a well managed organization, the Victoria Motorcycle Club stands as a model of commitment and integrity in facing any challenges the future may bring.